On a sunny day, we considered getting an outside table at Demel, the famous cake and chocolate shop in Vienna, a stroke of immense luck. Viennese tend to hang out at Demel sipping their coffee and reading the paper with no real inclination to leave. 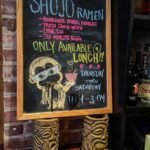 It’s old school cafe life with no pressure on the cafe to churn through customers to increase profits. In the shadow of the Hofburg Palace, we had picked the cafe because of its fame and its location which is perfect for a rejuvenating break after sightseeing. 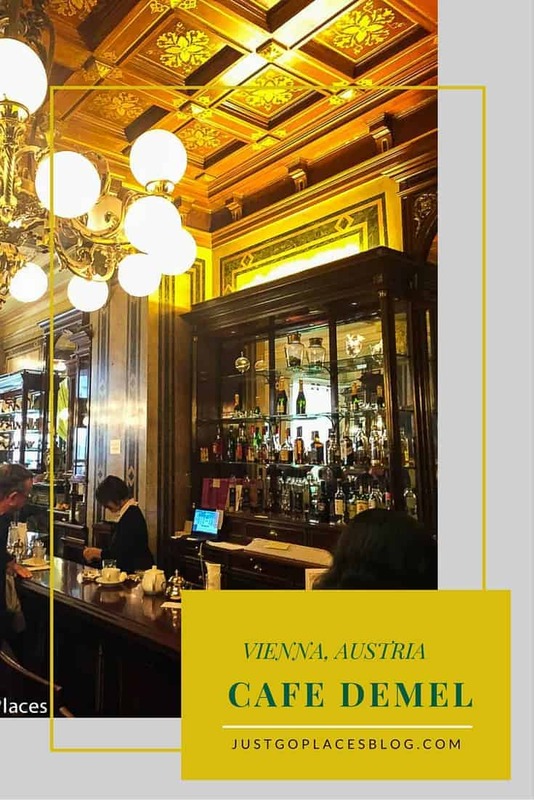 Located on an upscale side street near the Hofburg Palace, Demel is perfect for people watching as both locals and tourists throng to the area. The street is Vienna’s equivalent of New York city’s Fifth Avenue but with a lot less traffic. Kohlmarkt and its surrounding areas are chock full of upscale international luxury shops. Traditionally it has been the location of big name jewellery stores such as Cartier and Chopard for when you needed to nip out of the palace to buy your wife (or mistress) a pretty bauble to keep her happy. Demel was set up in 1786 by a confectionary assistant from Wurttemburg who came to the big time in Vienna with a krone and dream. They hold the title of court suppliers of cakes for the imperial and royal family. During the cafe’s long history, it got into a legal tussle with the Hotel Sacher on who could name their cake the original Sacher torte. 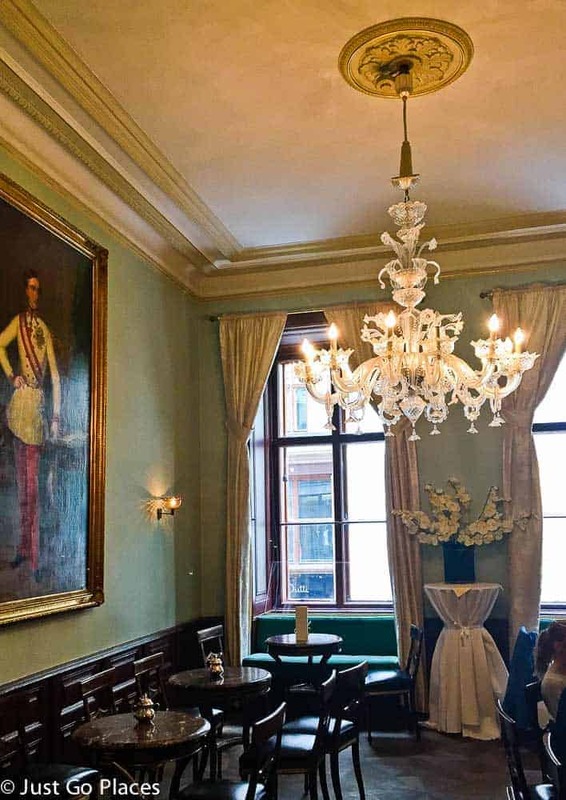 Located practically on the doorstep of the Hofburg Palace, the cafe was very popular with the Austro-Hungarian Empire’s aristocracy, including Empress Sisi, Austria’s 19th century answer to Diana, Princess of Wales. Demel did a regular delivery of confectionaries to Empress Sisi at the court. The Demel building itself is a neo-baroque concoction that is in keeping with its fluffy, girly cakes. It was designed by the pre-eminent architects of the time. It’s worth a look to see the inside of the building even if you don’t stop for cake (I can’t really comprehend that possibility). There is a charming bar on the ground floor if you wanted a quick coffee and cake. Coffee in Austria is always served with a water chaser – don’t ask me why. There are tables in the back as well as a first floor dining room. Service was excellent. The waitresses, known as Demelinerinnen, still wear starched black dresses trimmed in white, uniforms which were designed a couple of hundred years ago. I don’t speak German but apparently they have a specific way of addressing customers in the third person which shows respect and deference. Apparently, this approach was used when titles fell from disfavour but you still wanted to kow tow to the upper classes. 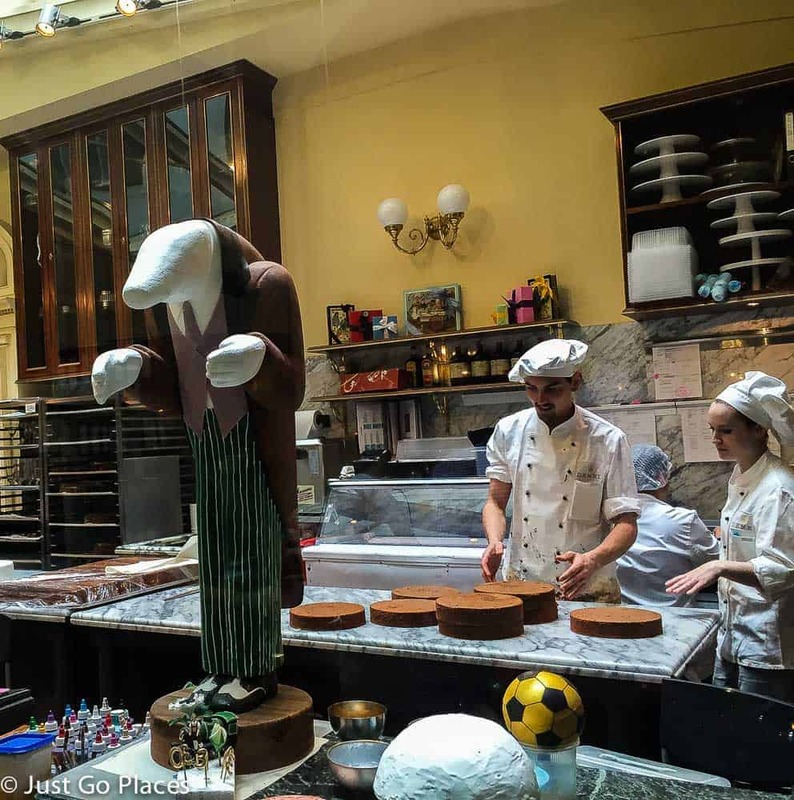 In addition, you can watch the Demel bakers hard at work. My kids found this fascinating. They were prepared to volunteer to lick the bowls of cake mix like they do at home. In addition, there is a Demel museum showing items from its history as well as a beautiful gift shop. The museum is only open for a couple of hours on a Friday morning. There are so many delicious-looking cakes, we couldn’t choose between them. You go inside the cafe, pick out the ones you want and then order at your table. You know how much my family and I love our cakes and confectionary. 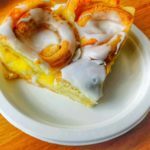 We have sampled our way through many a patisserie, including Danish pastries in California, donuts in Minnesota, tea cakes in England and eclairs in Paris. So we were four people, and we wound up choosing 6 cakes. Because that’s how we roll. And we ate them all. Every last delicious crumb. so many choices, all so good. 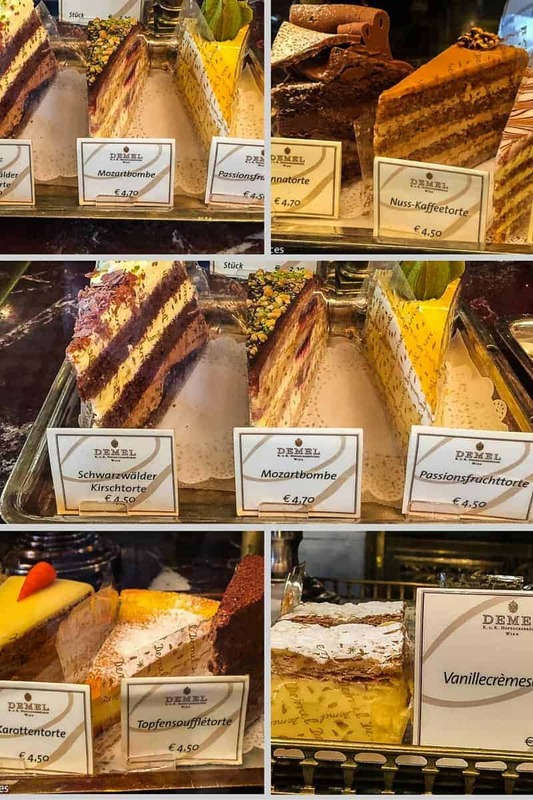 The Demel Konditorei is located on Kohlmarkt 14. Although the Hofburg is huge, you will find Kohlmarkt is the street that runs in front of the giant domed and arched entrance to the Spanish Riding School exhibition grounds. The cafe is open daily from 9-7. It also serves light meals in addition to coffee and cake. 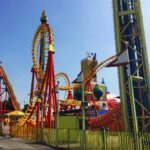 This post is linked up with Travel Tales and Travel Photo Thursday and City Tripping. So were the cakes as good as their reputation? Those pastries certainly look wonderful! 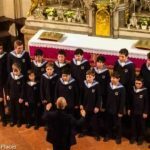 I love the photo where it looks like a child is about to grab the cake with his/her hand! Yes, they were as good as their reputation. That was my son who couldn’t wait until I took the photo!! Luckily I have fast reflexes. I feel like I am here with you! The cakes look heavenly and the decor and service are exactly what I would expect in a classic Vienna cake shop. I don’t know when I will have a chance to visit, so thank you for taking us with you! I am salivating now just looking at those cakes! I’d been to Austria twice but never in Vienna. I’ll definitely try this cafe when I get to visit there. Thanks for sharing! 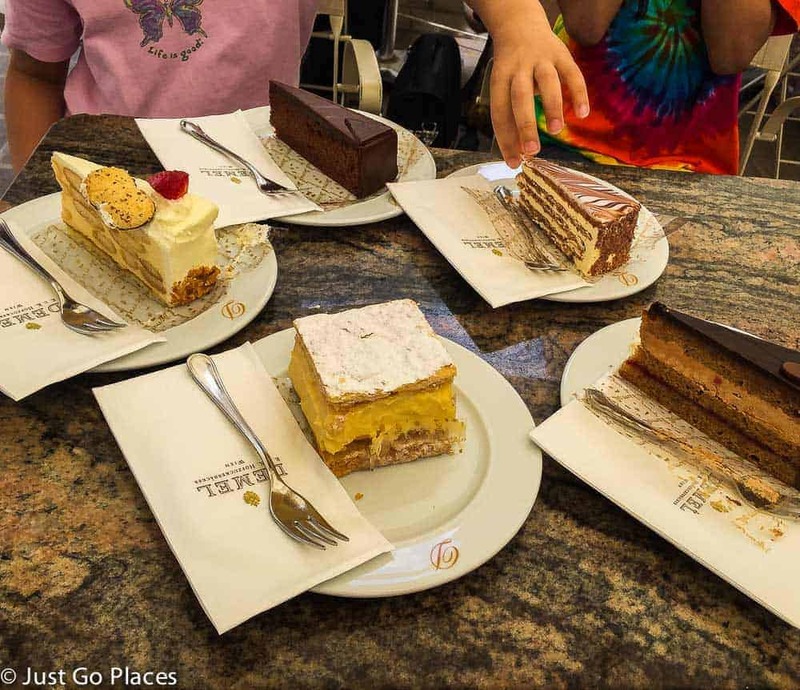 Vienna had a great tradition of cakes if you are pastry lovers like us! Now you know why we couldn’t choose merely four! Yum oh! This looks like heaven. It was. I cannot lie. 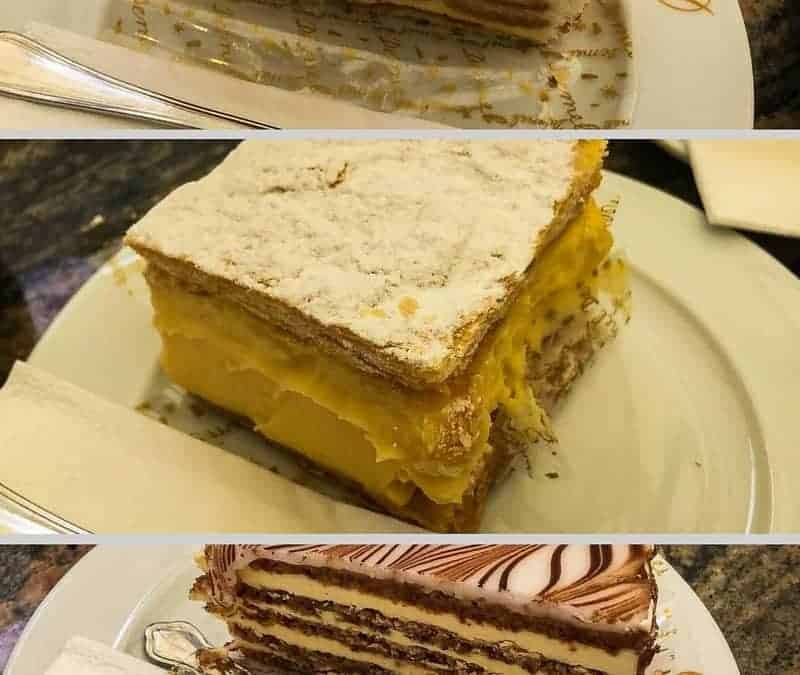 Vienna is a great walking city because you really do need to walk off those calories. 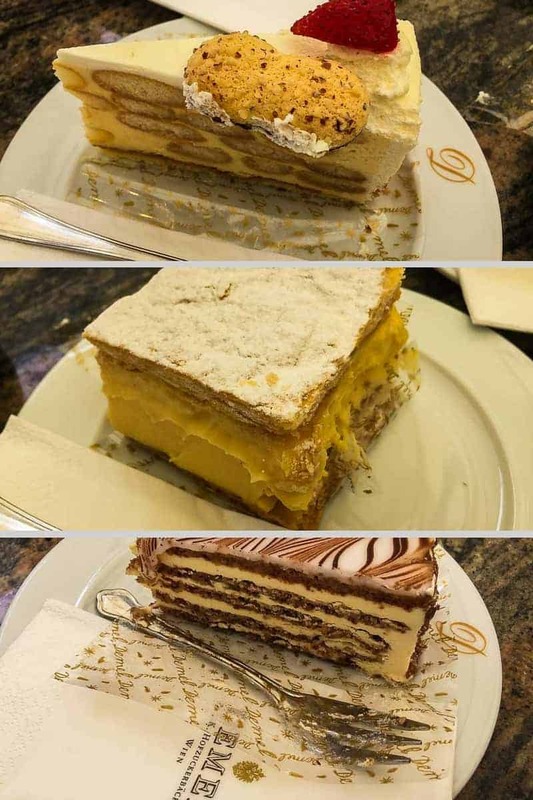 they make the classic Austrian cakes so yes I’m sure it’s very similar to one you had as well! Yes choosing is the hardest part! Very nice post. I llove you share the history of the place and the cakes look fantastic. I am pinning it for future reference. The cakes look so good! That’s funny that you wound up with six, although I’m not surprised! I would too! Gluttony is one of my vices! God, what a gorgeous place. Love the mirrors and bottles, the bar and those desserts. I would love to be one of the people just sitting, reading a paper, spending time there. It’s old world glam! The great thing about Viennese cafes is that it’s perfectly acceptable to hang out at your table and no one gives you dirty looks for taking up valuable customer space. That’s my kids hand. I’ve to be fast with my shots or the kids will inhale the food! Ha ha! My kids and I have a sweet tooth. 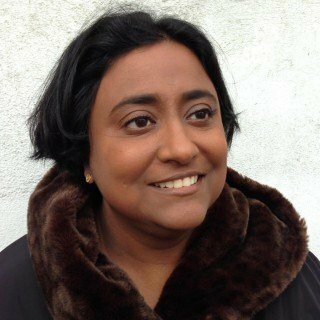 We walk loads though when we are travelling to burn off all those extra calories! I love Vienna partly because of its beauty and partly the cakes! This blog post is gorgeous – makes me want to take a trip right now. Nothing beats Austrian cakes (or hot chocolate for that matter). OMG the hot chocolate is to die for! Thick and chocolatey. A snack in itself. Yes! I hadn’t thought of it like that but you are right! It’s a total sensory experience.